is delighted to work on this production. He is a student at DePaul University studying audio engineering and voice. His past experiences include working and performing with Springboard Theater Co. and the Eastern Opera of New Jersey. has served as the dramaturg for Spike Heels, A New Brain, Aloha, Say the Pretty Girls, Godspell, To Tree, and Reefer Madness!, all with Brown Paper Box Co., which she co-founded in 2010. In her spare time, she edits academic marketing journals and raises a toddler. is honored to be a part of this new play! Some favorite credits include: Mitzi in Mavis (The Residents Theatre); Fraulein Kost in Cabaret (No Stakes Theater Project); Zoe in Nine Lives (Chicago Musical Theater Festival); The Dictionary Project (Strawdog Theater); Rachel/Molly in Dark Play Or Stories For Boys ; Rose in City On The Make (Dir. by Sheldon Patinkin); and Ismene in Antigone. Nicole graduated with a BFA in Musical Theater Performance from Columbia College Chicago and she is grateful for her coven, the homies, and the many other humans that support her journey. is a Pennsylvania-Rican teatrista who earned her Musical Theatre degree from Ithaca College. She loves creating and developing new work and is stoked to be a part of this project! Deanalís is currently the Female Swing in BoHo’s production of Marie Christine, and previously has had the pleasure of working with Brown Paper Box Co. (They’re Playing Our Song), Refuge Theatre Project (High Fidelity, Things to Ruin) Theo Ubique (Rent), Oracle (good friday), Emerald City Theatre, Teatro Luna, Free Street Theater, & Rabid Bat Theatricals. She is a joint-founder of FEMelanin, a femmes of color theatre collective creating work around identity and social change, and has also spent the last four years working as an actor, deviser, and teaching artist with For Youth Inquiry (FYI) at the Illinois Caucus for Adolescent Health (ICAH), which designs participatory plays and theatre-based workshops for youth about sexual health and reproductive justice. holds a B.F.A. 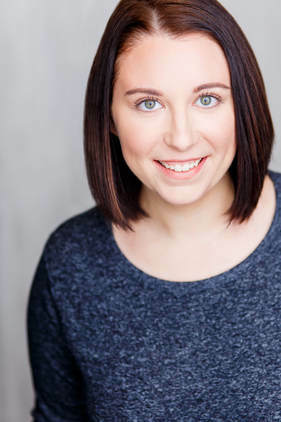 in Acting from the University of Illinois at Urbana-Champaign and has worked in Chicago as an actor, singer, production manager & arts administrator for the last decade. 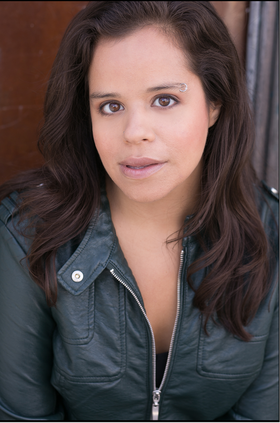 Her first play, Prodigy, was selected as one of three projects for the League of Chicago Theatres' Bright Angel Creative Retreat in August 2017. She is a proud founding member and the current Executive Director of Brown Paper Box Co. Her backstage work with BPBCo. includes production managing and stage managing various productions as well as creating, coordinating, and hosting "The Broad-Way: A Ladies Cabaret" and "Brown Paper Bash: 5 Year Anniversary" special events. Thank you for supporting new work! is the founder of No Stakes Theater Project and recently directed a staged reading of Sharr White's Annapurna for the 2016 WINGSPAN series. In 2015, she directed No Stakes first production, Jim Cartwright's The Rise and Fall of Little Voice at Theater Wit. In Summer 2014, completed a casting internship at Steppenwolf Theater Company. 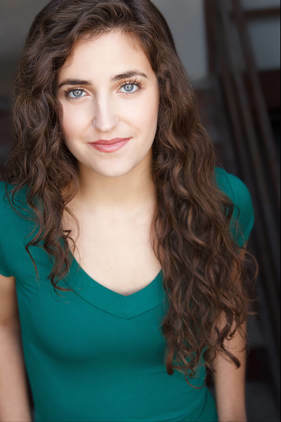 Erin graduated from the directing program at Columbia College Chicago in 2013. There, she directed All My Sons (Arthur Miller), Killers (John Olive) and Stature of God (Ian Michael James). She assistant directed the 2014 Senior Showcase, which was directed by Steve Scott. Other assistant directing credits include: Rapture Blister Burn (Goodman dir. Kimberly Senior), Inana (TimeLine dir. Kimberly Senior), Four (Jackalope dir. Nate Silver), Strandline (A Red Orchid dir. JR Sullivan). Dramaturgy credits include: Travesties (Remy Bumppo), Our Class (Asst., Remy Bumppo), Lost in Yonkers and Detroit 67 (Asst., Northlight), and Mud Blue Sky (Asst., A Red Orchid). Sara Heymann for art class and guidance. Allison Hendrix, Amy Malcom, Hallie Peterson, Stephanie Rohr & Jenna Schoppe for their participation. M. William Panek & Phil Martin for their support. Brown Paper Box Co., DePaul University & Dr. Farah for sponsoring.